My standard of measurement for multiplayer brawlers is Super Smash Bros. Melee. Almost every brawler I've played since has fallen short of the joyous chaos of of my time with that incredible game. Almost no match played out the same way, and no matter how much time you put into it there was some new trick or nuance to learn. Even the more recent Smash Bros. games have fallen short of this gold standard. In some 14 years the only game that has met the bar is Paperbound. You may remember Paperbound from our preview piece a while back. Its an indie game from a small team at Dissident Logic. It's similar to games like Towerfall and Nidhogg (though far more chaotic than the latter). Up to four players fight to a certain number of kills, 10 by default. Instead of the match simply ending at that number, a tear opens in the level that the winning player has to reach before they are killed. If someone else manages to kill them before they get to the tear, it closes and that player has to get another kill before it opens again. One of the things I really love about Paperbound is it's environments. No generic fantasy or sci-fi arenas populate the game. Every level is inspired by literary works; some works of fiction like Journey to the Center of the Earth, and The Divine Comedy, others more philosophical works like The Book of Five Rings. 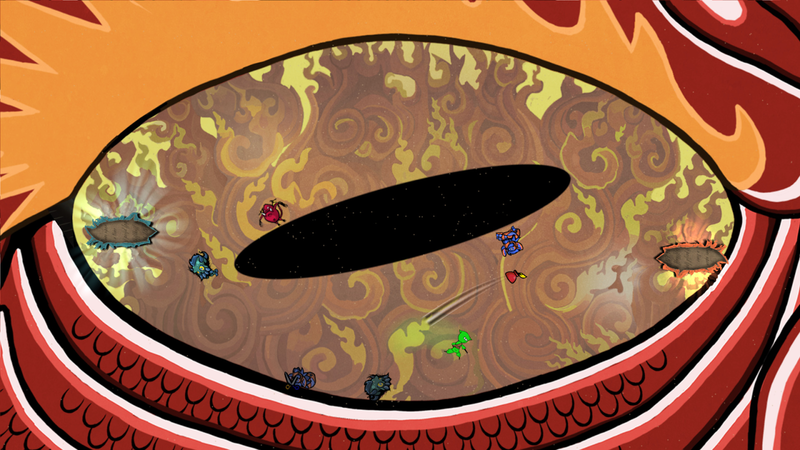 You'll fight in some really interesting places; the eye of a dragon, a giant meat grinder, an underground labyrinth. Each character is based on the environments as well. while each one is mechanically the same, there is a great deal of nuance to the moves and mechanics themselves. Hit a button and invert your gravity, but keep hitting it and you'll bounce around in the middle of the air. Ink bombs follow an arc in keeping with your gravity, but the scissors you throw are unaffected by gravity. Melee attacks are fast but can be blocked by your own melee attack. Scissors and ink bombs can be deflected. In the numerous hours I've spent with Paperbound, I'm still finding more. The only issue I've had with Paperbound is the size of the environments on the screen. In some of the arenas, the characters appear so small that it can be difficult to keep track of them. Beyond that, I've had no issues, only joy. Believe me when I say that Paperbound is one of the very best brawlers I've ever played. It has earned its place along Melee and just above Towerfall. 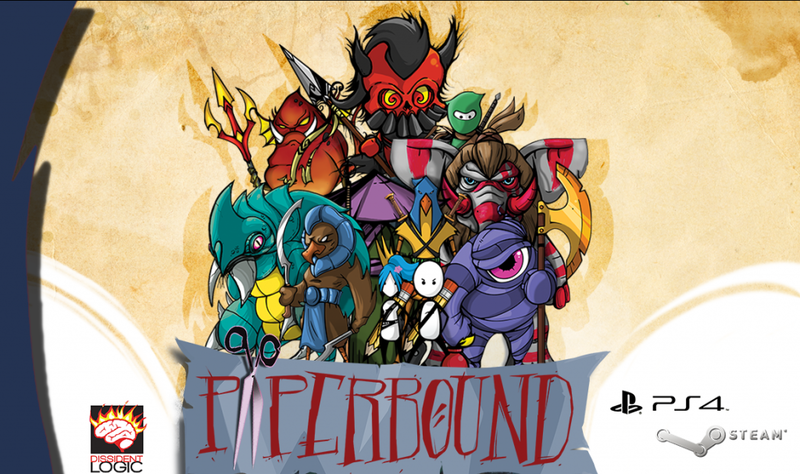 Paperbound is available for $9.99 on Steam and the Playstation Network.